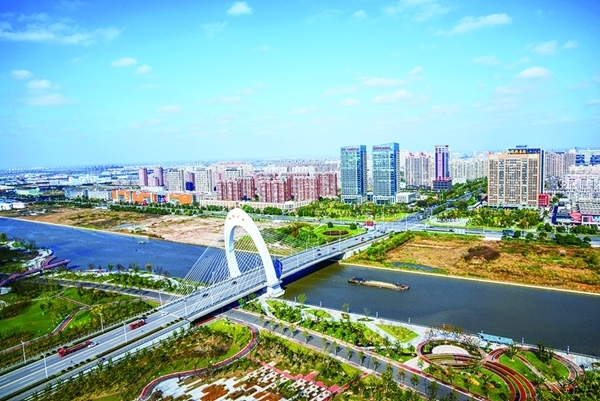 Tongzhou district in Nantong, Jiangsu province held the awards ceremony of the second Nantong's Tongzhou district tourism photography competition on June 23. The competition was held to publicize local tourist sites, and displayed 200 award-winning works. It ran from April 15 to May 10 this year and received more than 1,000 entries. Entrants visited Kaisha Island in Nantong to shoot the local cultural landscape, ecological environment and tourism resources. The activity is expected to publicize the sports tourism resources in Kaisha Island and promote local cultural and economic development, said Hu Weidong, director of Tongzhou district’s publicity department. Organizers of the activity included that department and the Binjiang New Area administrative committee. Kaisha Island in Nantong has one of the most natural environments among islands in the Yangtze River basin. Kaisha Island Resort covers an area of 15.42 square kilometers. It boasts scenic spots featuring fishing, fruit picking, sports and delicious food, providing ecological and healthy tourism.